Biography: Rick Looser - Mississippi Believe It! 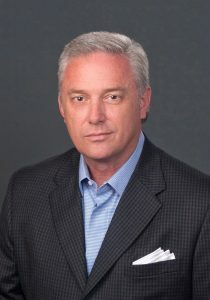 Rick Looser is President and COO of The Cirlot Agency, a leading global brand strategy, integrated communications and business development firm headquartered in Jackson, Mississippi, with offices in Washington, D.C. The Agency represents clients ranging from Fortune 100 companies to some of the world’s largest privately held corporations. Recognized as one of the top PR professionals in the country, Rick has worked with a virtual who’s who of business and industry, including Northrop Grumman, Bell Helicopter, Textron, Raytheon, Sherwin Williams, Boeing, Blue Cross/Blue Shield and Sanderson Farms, among others. Rick was also the lead communications strategist for the competition to win one of the largest defense contracts ever awarded by the U.S. Navy, the DD(X) program, valued at more than $60 billion. A sought-after speaker and media industry expert, Rick has been interviewed and featured in articles by The New York Times, USA Today, U.S.News & World Report, The Washington Post, The Christian Science Monitor and The International Herald, to name a few. He has also been featured on National Public Radio’s Morning Edition and All Things Considered, and on MSNBC. Particularly of note, NBC’s Today Show traveled to Jackson to produce a feature on Rick and his conception of “Mississippi, Believe It!™,” a pro-bono public service campaign created as a gift to the citizens of Mississippi. A viral success, the campaign has amassed the equivalent of over $80 million in earned media and has been exposed to an estimated $150 million people worldwide. In 2008, Rick led an 18-month Integrated Communications effort for the first Presidential Debate between Sen. John McCain (R-AZ) and Sen. Barack Obama (D-IL), hosted by the University of Mississippi. More than 3,000 journalists from all over the globe descended on Oxford, Mississippi, and the eyes of the world turned to the Ole Miss campus for the first time since the 1950’s. NBC’s Tom Brokaw declared Ole Miss the “winner” of the debate for showing the country how much the University has changed over the past 50 years. In 2009, Rick was inducted into the Mississippi Business Hall of Fame. Since 2008, he has served on the board of advisors for The University of Alabama’s Plank Center for Leadership in Public Relations. The Center, established in 2005, seeks to help develop and recognize outstanding leaders in public relations in the profession and the classroom. Rick also served on the Capstone Communication Board of Directors from 1998-2004, and on the national Advertising Advisory Board of Directors for Congressional Quarterly magazine based in Washington, D.C., which is considered the most comprehensive news source on Congress. A recipient of numerous regional and national PR awards, Rick was awarded the International Association of Business Communicators (IABC) top award in Vancouver, British Columbia, The Gold Quill Award – considered the Oscar of the PR industry. A graduate of the University of Alabama, Rick was named the Outstanding Alumnus in Public Relations for the University of Alabama’s College of Communication and Information Sciences in 2003. In 2013, Rick received one of the top honors bestowed by the Capstone when he was chosen as the College’s Bert Bank Distinguished Service Award recipient. As an Adjunct Professor at the University of Alabama for the past four years, Rick has taught Public Relations Campaigns, the Capstone course for graduating seniors. In 2016, Rick was inducted into the exclusive Arthur W. Page Society, the world’s premier professional association for the most senior communications and public relations executives.